The focus of the discussion will be how various arts programming ranging from music and visual arts, to theatre and dance can positively impact a child’s development and enhance their college applications. Parents and students in grades 7-12 will gain an understanding of developmental and cognitive benefits of the arts that contribute to academic achievement. 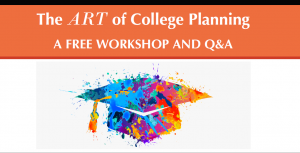 The workshop will also integrate insight on how arts participation and enrichment can benefit students applying as any college major. This entry was posted in Press Releases and tagged Arts Education, Clay Art Center, College Planning, music conservatory of westchester, pelham art center, Random Farms Kids Theater, Steffi Nossen School of Dance, The Arts Matter. Bookmark the permalink.